I left Brisbane and headed south to Surfer's Paradise. The waves are a surfer's dream, but the city is big, reminds me of Miami or other big Florida cities. There are lakefront homes with boats docked nearby the ocean. There's a huge party scene every night in Surfer's. During the week, Surfer's was the host for the Uni Games, where drunk college students from all over Australia come to party. I think I attended college in the wrong country. Continue reading Tom Chun's Travels - Rolling Downunder. Marketing Travel to the Boomer Generation: Anatomy is not Destiny! How do we market to the Baby Boomer generation as it moves into its prime leisure travel years? The first step is to know the generation intimately enough to craft a message that speaks to them uniquely. Even with my own participant-observer status from inside the generation I find myself drawn to writers exploring the topic. Continue reading Marketing Travel to the Boomer Generation: Anatomy is not Destiny!. 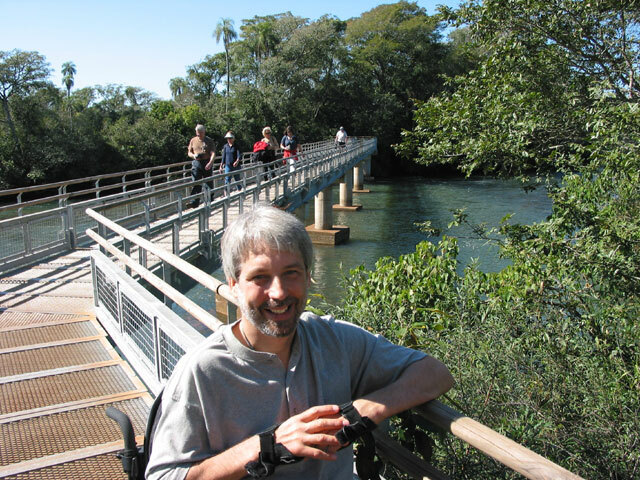 More remarkable, from my perspective as someone who has traveled extensively in the 35 years since I began to use a wheelchair, is that the travel behavior of people with disabilities has entered into the thinking of mainstream industry professionals. Continue reading Travelers with Disabilities: Responding to a Business Opportunity. For people with a disability resiliency in the day-to-day requires a bit of self-confidence that only comes with a degree of social awareness. As acceptance of the civil rights of people with disabilities broadens there is plenty to be aware of! Human rights advocates and Disability Studies academics have placed themselves unflinchingly in the center of intellectual and political ferment of the day. Emboldened by the UN Convention on the Rights of Persons with Disabilities, regional, and national policies the disability community is making its presence felt beyond the realm of simple survival issues in the domain of government and has begun to address inclusion in market-based industries previously considered tangential such as leisure recreation and tourism. Inclusive Tourism has positioned itself at the intersection of two powerful forces -- civil rights advocacy for persons with disabilities and the imperatives of market-based economics. If you are in the Boston area the Greater Boston Civil Rights Coalition is sponsoring an overview of the issues affecting the disability community. The program, Current Issues in Disability Rights, will be held at 14 Beacon Street on Friday, October 5, 2007 promptly at 9:30 a.m.
Continue reading Current Issues in Disability Rights - Boston. "Porque se chama de "Endurao da Autonomia?" pergunta o reporter? * Recreation and leisure are major contributors to quality of life. * People with a disability are individuals and have the same rights as all citizens. * People with a disability should have full community access. * Participation in recreation is skill related. * Participation in decision making is essential. * Continuous improvement is required to obtain optimal outcomes for all. 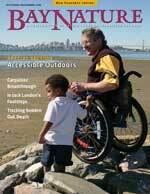 Continue reading Australia's NICAN Provides Resources on Recreation Access. Continue reading Dharamsala: Disabled people to get land for self–employment. Estimativa da Febraban mostra que o mercado de pessoas com deficiência movimenta cerca de R$ 100 bilh?es por ano. A idéia de um guia de acessibilidade para o Rio de Janeiro n?o é nova no meio das pessoas com deficiência e muito menos no IBDD. O que torna esta iniciativa de agora diferente é que idealizamos uma publica? ?o para prestar um servi?o da maneira mais direta possível, sem academicismos. Além disso, atribuindo-lhe total objetividade e, ao mesmo tempo, valorizando o que esteja de acordo com as normas de acessibilidade, só entrou no guia o que é acessível. O que n?o é acessível, obviamente n?o interessa às pessoas com deficiência. 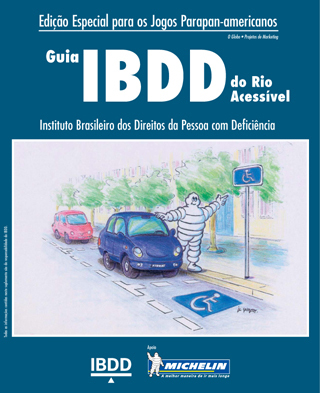 Continue reading Guia IBDD do Rio Acessível. Recently we wrote about Dubai's goals for Inclusive Tourism. The destination's massive infusion of cash and development into ultra-high end tourism has begun to attract imitators. What we are not hearing are concomitant policies of inclusion. 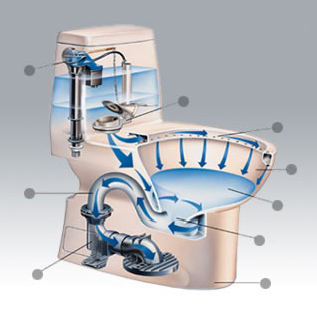 This may signal continuation of current trends of class-marked exclusion goes hand in hand with exclusion through design where, for example, top tier rooms, villas, or cabins in a resort or on a cruise ship will not accommodate travelers with disabilities and low-end spaces are made minimally compliant. Below the Taipei Times reprints a piece examining the luxury tourism trend written by Leo Hickman of the Guardian. Continue reading Mega Luxury Tourist Destinations. The tourism industry can be a vehicle for disability rights. This is the fundamental assertion of the Rolling Rains Report. The Report gleans evidence daily from around the world to fulfill its tag line, "Precipitating dialogue on travel, disability, and Universal Design." Universal Design, as applied to policy and services - as well as to place, publication, and product - is the primary strategy it promotes. Continue reading Inclusive Destination Development: Getting the Design Right. We will discuss Inclusive Tourism within a rights-based framework at Asia's second international conference promoting Inclusive Tourism in Bangkok November 21-24, 2007. The following was the Opening Keynote for the 2005 International Conference on Accessible Tourism in Taipei, Taiwan. Continue reading The Global Reach of InclusiveTourism: IATC 2005 Keynote Address. Brasília - Ao lan?ar, hoje (26), um plano social para pessoas com deficiência, o presidente Luiz Inácio Lula da Silva afirmou que um mandato n?o é suficiente para atender as necessidades dessa parcela da sociedade, que reúne cerca de 24,6 milh?es de brasileiros. disse Lula, em cerim?nia no Palácio do Planalto. Continue reading Lula Lan?a Plan Social para PPD. From the design of housing units to regional regulations of land use, and everything in between from recreation to transport, the experiences of persons with disabilities are certainly different from those of the "abled." This session seeks to highlight such differences, where urban/regional planning and design follows "normative" rules at the cost of universal convenience, often flouting ADA and other federal and state regulations. Continue reading Call for Papers: A "Different" Experience: Persons with Disabilities and Urban/Regional Realities. A double amputee bomb victim who heads an Angolan disability organisation was thrown off a flight to London, it was disclosed this week. The Portuguese airline TAP pilot told Carla Luis that she needed a medical certificate or a companion. Several passengers offered to be her “companion” and the much-travelled activist pointed out that she was not sick. Nevertheless, the pilot refused to take off and she was forced to take another flight. Continue reading Discrimination in the Air. Michael Margolis, a communications consultant who helps business and social innovators find the essence of their story, is hosting this week’s discussion on Strategic Storytelling and Social Innovation. Santa Catalina is one of California's Channel islands. Originally, so say geologists, a resident of Mexico in the Baja California area, the Channel Islands make their way northward at a speed of about 2 inches per year. We caught up with Santa Catalina Island off Newport Beach about 26 miles across the sea. The island is undergoing restoration to its unique native state and has strict limits on growth. It is a hilly terrain with tourist attractions in the main town Avalon centered around watersports - not all of which are accessible. There are no human rights to which persons with disabilities do not lay claim. Upon this foundational principle at our last World Assembly in Sapporo, Disabled Peoples' International called upon Member States of the United Nations to adopt of a specific international human rights treaty on the rights of persons with disabilities. Continue reading The Seoul Declaration. California University of Pennsylvania announces a position in Tourism Studies with a specialization in tourism geography and an emphasis on tourism planning and development. Here is an opportunity to further Inclusive Destination Development. Continue reading Position Announcement: Tourism Studies Specialization. I found Nemo!!!! Well, maybe. While scuba diving, I saw 3 clownfish, hiding inside an anemone, just like in the movie. Unfortunately, I had already took my last shot from my disposable camera before getting a pic. Story of my life! LOL! But as you can tell from my pics, they weren't the greatest. Note to self: buy nicer underwater camera when diving in the Great Barrier Reef (GBR). The fish, coral, and creatures in the GBR were full of color and amazing. It was the most incredible diving experience! Since I failed my mission in taking a photo of "Nemo", I had to roll into the drive-thru liquor store to drown in my sorrow. LOL! The Aussies love their alcohol! Forget the drive-thru Starbucks, the Aussies have us beat....genius. Let's hope there's no drinking and driving involved. Anyways, I will seek to get a better picture of Nemo again....stay tuned. G'day mates! I'm staying in Brisbane now, near Chinatown. The city is similar to San Francisco, very hilly. Little did I know, there was a huge free concert, the Valley Festival, on the weekend of. The place was overwhelmed with party animals and booze was flowing. The Aussies and beer, a crazy combination! To get out of the party scene, I went up to Noosa beach which is a quaint little town with shops and restaurants. The South Bank area is a new trendy district with a great paths to stroll. I finally got my first flat tire! In the morning, a friend and I ventured to get my tires pumped at the gas station, but none to be found. So, we asked some policeman and they said "We'll take you Mate!" So we hopped in their police car, they pumped my tires, and they even dropped us off the train station. They take "To serve and protect the people" to another level! On our way back from Stradbroke Island, a great beach getaway that stretches to infinity, we had a whole bus to ourselves that drove us back, like our own private chauffeur. 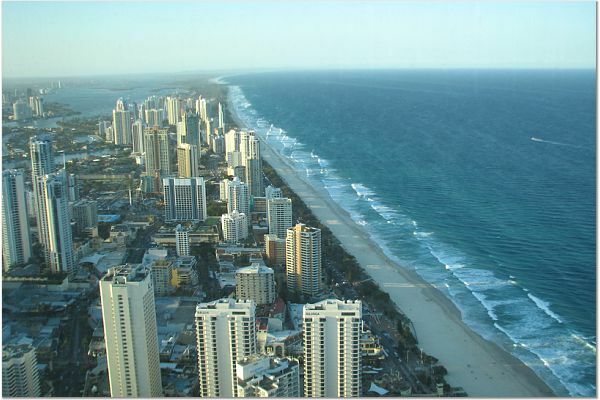 My next stop is Surfer's Paradise! The International Council for Building Research and Innovation (CIB) Working Commission 084 “Building Comfortable Environments for All” invites you to submit high quality research papers for the International Meeting in 2008 in USA. Continue reading Call for Papers: “Building Comfortable and Liveable Environments for All”. Amy Nutt writes for Ezine Articles. Here she explores Universal Design in the context of homes and "Age-Free Environments." Continue reading Creating an Age-Free Environment. In an open letter to Consumer Reports, Greg Trapp, President, National Council of State Agencies for the Blind. Inc. (NCSAB) urges the publication to note the access features in their product reviews. Continue reading Consumer Reports Encouraged to Consider Access Features in Product Evaluations. Tara Melton, of Transport 2000, said: "Rail passengers need real travel choices. "All stations should have good bus links, decent footpaths and secure cycle parking and must be accessible to all. "What our survey shows is that this clearly is not the case for many rural and urban stations. "With rail patronage growing in the north east it is now more important than ever not to disable or discriminate against rail users and to say 'goodbye' to inaccessible stations." In the US AARP has taken leadership in promoting Universal Design for homes through their Social Impact initiatives. 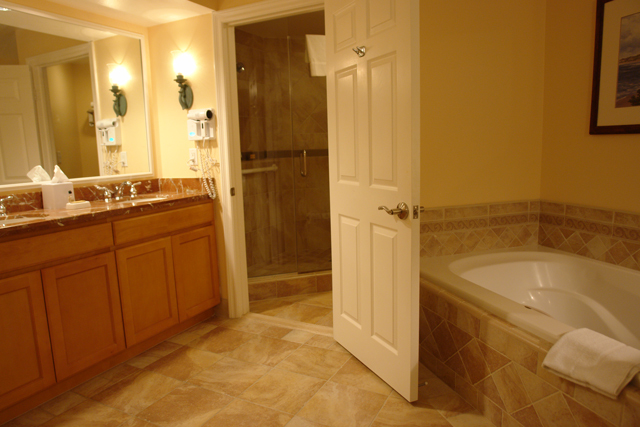 Prince Williams County, Virgina in the US has a Universal Design demonstration home. A project is underway at the Universal Design Living Laboratory in Columbus, Ohio. In Brazil Sandra Perito has been doing so for several years at Universal Home. In Australia Alex and Desiree have come at the field from the consumer standpoint and offer a unique voice as they disseminate Universal Design thinking by turning their home into a demonstration project at Universal Design Renovations. Continue reading Universal Design in Homes Around the World: Trends for Hoteliers to Watch. JACKSONVILLE, Fla. -- A Jacksonville man who said he was grounded by an airline in June has flied a lawsuit against the company. He said workers wouldn't let him fly because he's disabled. Andy Gates suffers from a neurological disorder that has confined him to a wheelchair. In June, he booked a flight out of the Jacksonville to Wisconsin. However, Gates said U.S. Airways denied him the right to fly. "They said I was too disabled to fly alone. I don't have enough words to describe how angry I am," Gates told Channel 4 shortly after the incident. Gates told Channel 4 that he's flown seven times in the past by himself, even on U.S. Airways, and never had a problem. Gates recently filed a lawsuit stating that U.S. Airways should require that people like him be allowed on flights. He said he doesn't want what happened to him to happen to other people. "There was no reason that I shouldn't have been able to board the plane at all. I am very mobile for a person in a wheelchair. I've been on a plane by myself and flown by myself," said Gates. U.S. Airways originally issued a statement about the incident stating: "U.S. Airways personnel determined that he would not be able to assist in his own evacuation in the event of an emergency. We feel that our employees acted appropriately and followed both company and federal policy in this situation." The airline said on Monday it would not comment on the lawsuit, as it is pending litigation. Gates said he returned to the airport a couple days after not being allowed to board the U.S. Airways flight and flew to his destination on a different airline with no problems. He said he hopes U.S. Airways would change its policies, so that no one else will have to go through what he did with the airline. "I was humiliated. I was very frustrated. There's no words to express how I felt that day," Gates said. After taking a vacation posting travel photos on a Google map helps with telling the story. Continue reading Geocoding Travel Photos. Don't You Wish Your Service Animal Could Do This? That's one smart canine companion! Continue reading Don't You Wish Your Service Animal Could Do This?. Desde "El Fantastico Mundo de Metrovias"
Este video, "Siete a?os más tarde, andén inaccesible" bien conta de la vida cotidiana de quien usa transporte publica y silla de ruedas. En este caso estamos en Buenos Aires donde - despues de siete a?os -- todavia no hay accesso al Metrovias. ?Puede ser mejor cambiar la prioridad del Programa de Acción Cultural El Subte Vive del Metrovias de murales, filmes, fotografia, y escultura inaccesibles para un programa que reconoce la cultura de nosotros? ?Como el árbol que cae en el bosque y nadie lo oye, que vale arte en lugar inaccesible? ?Que significa del nivel de conocimiento de nuestra cultura dentro del Metrovias cuando la infraestructura no refleje el genio de nuestros arquitectos como Ron Mace, Taide Buenfils, o Marcelo Pinto Guimar?es porque no comprende sus Siete Principios del Dise?o Universal? ?Porque no levanta Fundación Rumbos su proprio Concurso de Fotografia Contemporanea Argentina exponiendo la vision de una convivencia en el subte con personas con discapacidad? Este seria -- por fin -- un "Subte Vive!" C. Mahesh, Advocacy Coordinator for the CBR Forum has provided the following analysis of India's Civil Aviation regulations. Continue reading Analysis of India's Civil Aviation Requirements. With an estimated 30,000 people annually not disembarking from cruise ships in Rio de Janeiro alone for lack of accessible disembarkation, transportation, and even high value sites such as the Christ statue at Corcovado and the top of Sugar Loaf there are many opportunities to increase Brazil's appeal. Although Foz do Igua?u are easily accessible by elevated walkway that walkway is on the Argentine side of the river. Potential solutions may lie in the launch of Vai Brasil's Viaje Mais project and the extension of the World Health Organization's Senior-Friendly Cities program. Certainly the Turismo para Todos project of the Instituto Interamericano sobre Deficiência e Desenvolvimento Inclusivo – IIDI intends to address the issue in port cities. Continue reading Some Statistics on US Tourist Spending. Mrs Charlton recently came out of hospital with mobility difficulties and she uses a scooter, wheelchair and walking sticks. Continue reading Mrs. Charlton Goes to Town. SiSi: "Say It Sign It"
Travel is the one business category that covers all the themes outlined in this book. It is a global business; it benefits from increases in longevity, health, and wellness; it caters to the boomer's hunger for family and community; it is being transformed by online services and other technology; it is a purchase that often accompanies life transitions; it offers learning and enhances creativity, and it feeds a hunger for spirituality and service. Tom Chun is "Rolling Down Under"...Somewhere! 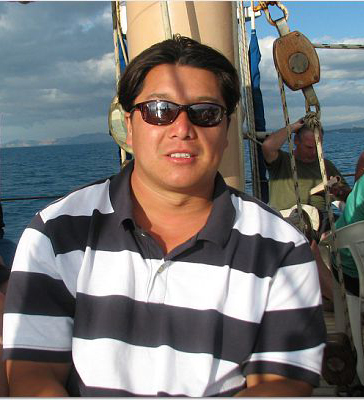 Continue reading Tom Chun is "Rolling Down Under"...Somewhere!. Concebimos el Programa Nacional Ciudades Accesibles, articulador de acciones en accesibilidad en Argentina (2004 en adelante). Impulsamos y participamos en la redacción de la (Ley 962, en vigencia desde mayo de 2003) que establece Criterios de accesibilidad al Código de Edificación de la Ciudad de Buenos Aires. Redactamos la Ley 161 de la Legislatura de la Ciudad de Buenos Aires que obliga a tornar accesibles los ascensores de la ciudad. Asesoramos entre otros: Al Gobierno de la Ciudad de Buenos Aires en el dise?o y localización de Vados y rampas callejeras; al Instituto de la Vivienda – Pcia. de Buenos Aires en el dise?o de viviendas y adecuación de las ya existentes para familias de bajos recursos con un integrante con discapacidad y a la Convención Constituyente de la Ciudad Autónoma de Buenos Aires en la Comisión de Políticas Especiales. Coordinamos el relevamiento de accesibilidad, con el CoMO (Defensoría del Pueblo de la Ciudad de Buenos Aires) y REDI (Red por los derechos de las personas con discapacidad) en Centros de Gestión y Participación Ciudadana. Realizamos el relevamiento de accesibilidad en Museos en la Ciudad de Buenos Aires. Publicamos el Libro “Lo Urbano y lo Humano - Hábitat y Discapacidad”, citado en párrafo anterior. Continue reading Fundación Rumbos - Recursos para Desarrollo de un Hábitat Inclusivo. The September issue of Accessible Portugal is out. It features an interview with José Lima. Lima set his sights on a handcycle tour of the country. Helpdesk4Seniors.org is a startup dream being floated by Greg Tsutaoka from MiDocs Foundation. It is one of several un- or under-funded initiatives starting 20 years after Mary Furlong's pioneering work with SeniorNet to increase social capital for older adults using technology. Who knows, maybe they will be the first such group to champion binary economics and we will see a SeniorSite with Boomer sensibilities and deep pockets to accomplish their mission! Continue reading Collective Intelligence & Disability Movement Values. Mahesh Chandrasekar commented that generosity on the part of the worldwide disability community in sharing quality information contributed to his work negotiating breakthrough in Indian civil air regulations. While our friends in the Service Employees International Union expressed shock at the original regulation, and we applaud progress toward inclusion in air transportation, reader Marty Sweeney wrote to share this vision of a world beyond fear of people with disabilities as passengers. Watch this video as one disabled pilot documents the modifications he made to keep him flying. Maybe he'll start a local Day in the Sky. Ananth Krishnan of the Hindu reports on positive developments for air travelers in and to India as theoretical distinctions made by disability scholars find their way into public and governmental discourse. In the ongoing controversy over civil air regulations in India the definition of disability has been somewhat clarified. Distinguishing between permanent disability and illness, the regulations begin to extricate themselves from the Medical Model of Disability. In so doing they provide clarity for air transport providers while capturing distinctions in passenger functionality relevant to air travel. Such campaigns for human rights as C. Mahesh, Rajiv Raman, the Community-Based Rehabilitation Forum and Vidyasagar are an ongoing necessity. Often they attract censure when they appear to raise the level of conflict beyond "polite" levels of acquiescence. Unjust regulations, inadequate infrastructure, preemptory expulsion from aircraft, or forced sedation will simply never be tolerated by the community of persons with disabilities. However, the worldwide disability community now hopes that, with an inkling of the positive social benefit available in adopting the Social Model of Disability as a basis for policy, the Directorate General of Civil Aviation will affirmatively pursue policy that enables the airline industry to profit from the untapped financial resources of travelers with disabilities to the mutual benefit of that community and the tourism industry. Continue reading Indian Aviation Norms for Disabled Passengers Revised. If you like puzzling over maps you might be interested in the call for paper to "Subversive Cartographies for Social Change" below or enjoy the collection at WorldMapper.com. The map above represents Transport & Travel Service distribution. It is further explained in this .pdf file. Together, transport and travel services constitute 13.2% of all international exports of goods. Transport services are the movement of goods and people by air, sea and land. It is because transport services cost money that imports have higher values than exports worldwide - the transport costs are included in the import price. Travel services mainly include the services and goods that are sold to tourists who visit a place. This might include a guided tour and some postcards. Exports are linked to tourist numbers, but also to the prices that tourists are charged. Continue reading Mapping an Alternate Future. Os Regulamentos Técnicos da Qualidade referentes à acessibilidade no transporte rodoviário e aquaviário encontram-se em consulta pública por 60 dias, tendo os mesmos sido publicados hoje (04/09) no DO - Diário Oficial. Continue reading Consulta Pública: Regulamentos Técnicos da Qualidade Referentes à Acessibilidade no Transporte Rodoviário e Aquaviário. Continue reading Free Book: Universal Design and Visitability. Kay Olson has some great photos from Flickr.com up at her blog the Gimp Parade. Contributing to the online event designed to balance the distorted images of people with disabilities presented at Jerry Lewis' telethon she has some shots of people with disabilities enjoying travel and fun! Continue reading Inclusive Tourism Over at the Gimp Parade. Mike Stevens has done an informative article on Sue Slater. Sue specializes in travel for the blind. See the article here. The US takes a typically low-key approach to celebrating the accomplishments of labor with its own day far removed from May 1 and the international May Day tradition of worker solidarity. Here is a labor intellect, humor, and social reconstruction of disability activists commenting on a Labor Day tradition of particular significance to people with disabilities -- the Jerry Lewis Telethon. Read the Blogswarm at Protest Pity -- http://karasheridan.com/?p=164 My particular contribution was goaded by Jerry's taunt to the disability community to, "Stay in your house." Continue reading Simplified Language for the UN Convention on the Rights of Persons with Disabilities. This paper has examined the role, nature, and impact of disability awareness training in the industry. It has shown that such training can be a valuable resource in forming and changing the personal attitudes of nondisabled persons towards those with disabilities. While previous studies have identified the need for disability awareness training, tourism has not been forthcoming in developing access and service provisions to meet the needs of this group. Human rights legislation in many Western countries has had the salutary effect of preventing service providers from overtly discriminating. However, the industry as a whole has been reluctant to embrace the concepts of universal design (for access) and disability awareness training, while at the same time it claims to be informed (Darcy 2002; Goodall 2002; O’Neill and Knight, 2000). Continue reading Darcry & Daruwalla: Personal and Societal Attitudes to Disability. The airline industry says it is too expensive to put accessible bathrooms on planes. They claim if they removed enough seats to make room for a large bathroom, they couldn't make enough money to fly the plane. Rasha's not buying that either. "Then why don't they take out all the restrooms? They could have all seats, no bathrooms, save even more money," she says sarcastically. "If airline people think people who use wheelchairs can fly without using restrooms, then everybody else can fly without them, too, right? Or do they think that because we use wheelchairs, we don't fly on airplanes?" American adults with disabilities or reduced mobility currently spend an average of 13.6 billion U.S. dollars a year on tourism. Out of a total of 21 million persons, 69% had traveled at least once in the previous two years, including 3.9 million business trips, 20 million tourist trips, and 4.4 million business/tourist trips. The United States Department of Labor reported that a large and growing market of Americans with disabilities or reduced mobility have 175 billion dollars in purchasing/consumer power. In the United Kingdom, the Employers’ Forum on Disability estimated 10 million adults with disabilities or reduced mobility in the UK, with an annual purchasing power of 80 billion pounds sterling. The Canadian Conference Board reported that in 2001, the combined annual disposable income of economically active Canadians with disabilities or reduced mobility was 25 billion Canadian dollars. Continue reading Rasha's Petition for Airline Accommodations.